This recipe is for those food lovers who want to eat dry veg Manchurian without worrying about the number on the weighing scale. I tried to make baby corn Manchurian without frying, not even stir frying. I used microwave oven to make this dry Manchurian recipe and it turned out very well. I have tried to reduce lots of calories from the original fried Manchurian recipe but there is absolutely no change in its taste. 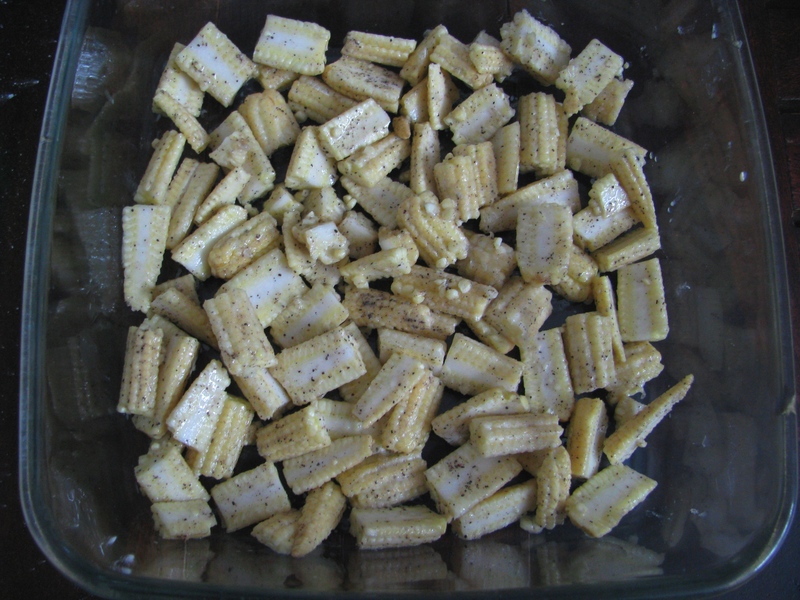 It is easy to make baby corn snacks with very less efforts. You can make this recipe with or without ajinomotto; personally I don’t prefer ajinomoto in any of my Chinese recipes. It hasn’t been proven scientifically but it is said that ajinomotto has lots of side effects . Well during pregnancy and for kids it’s better to avoid ajinomoto . 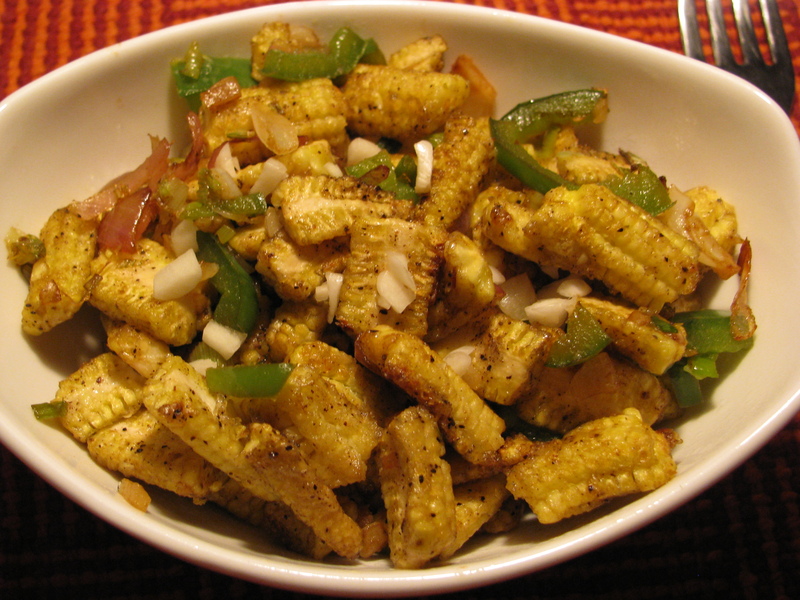 I have shared step by step recipe of baby corn dry Manchurian without deep frying at home. Share your suggestions and queries for this recipe. 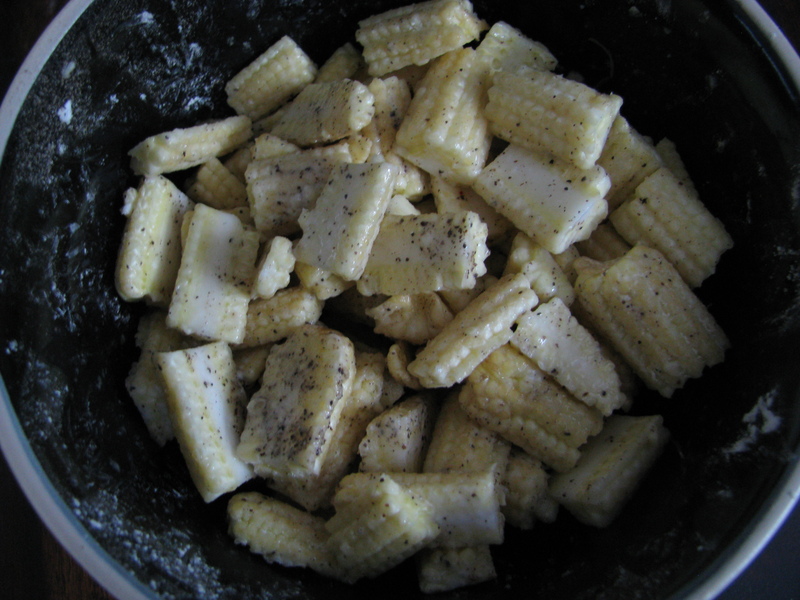 Add corn flour, black pepper, 2 teaspoon oil and salt to baby corn slices. 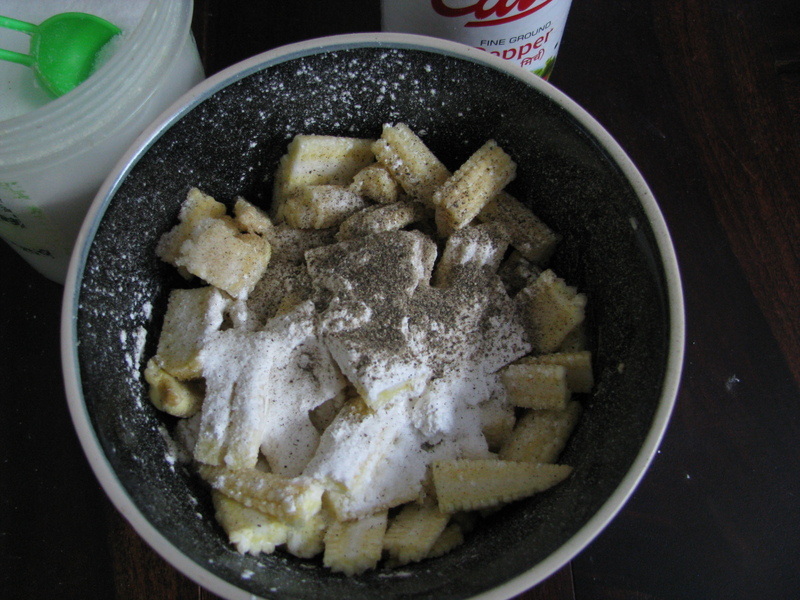 Mix it and arrange it on microwave safe dish. Cook it for 6 minutes on high power in microwave oven. Remove it from microwave and gently separate each slices using spoon. Add onion slices, green onion and capsicum to it and sauté it for 1 minute. Add green chilli sauce, soya sauce and vinegar to it and mix it. 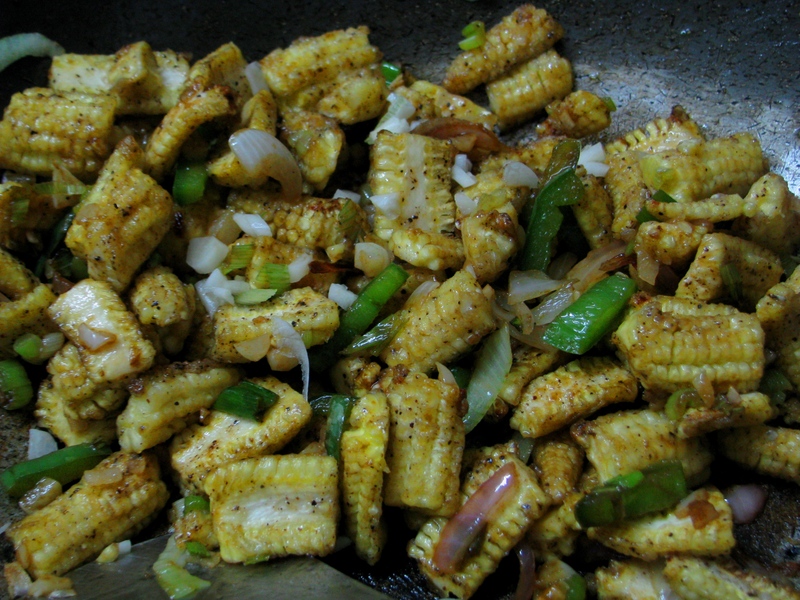 Add cooked baby corn slices to it, mix it nicely, add remaining finely chopped garlic and remove it from flame and serve it . 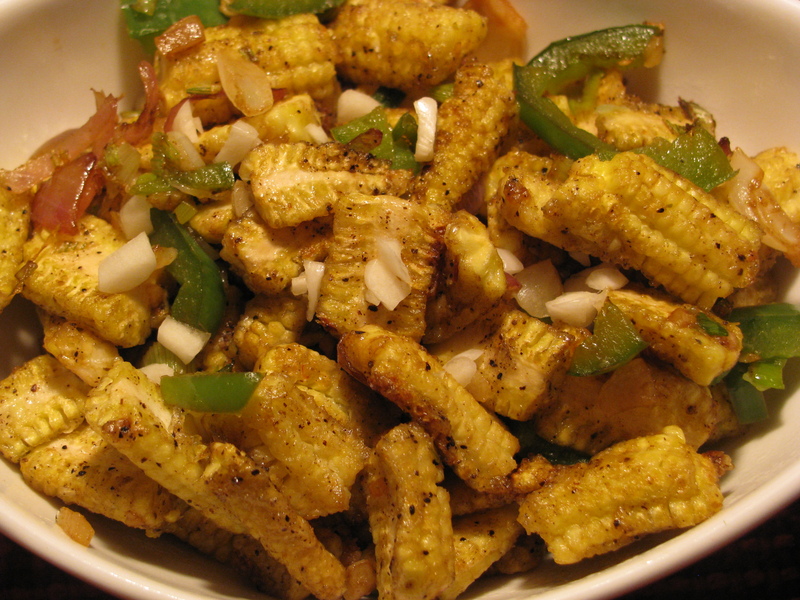 Use fresh baby corn to make Manchurian.